A female kidnapper who hypnotized a teenage girl was on Sunday beaten and stripped naked by a mob in Lagos. The suspect whose identity was not disclosed met her waterloo at Ajao estate area of Lagos where the victim was seen asking for the whereabouts of a warehouse. Fortunately for her, a relative to the girl identified her as she stood helplessly with the kidnapper while driving through the streets. He stopped to ask her questions as it was strange to see her on the street and then alerted residents. Upon interrogation, the female kidnapper who claimed to be a native of Togo, confessed to hypnotizing the girl as she planned to collect money from her parents then sell her body parts to her customers for rituals. 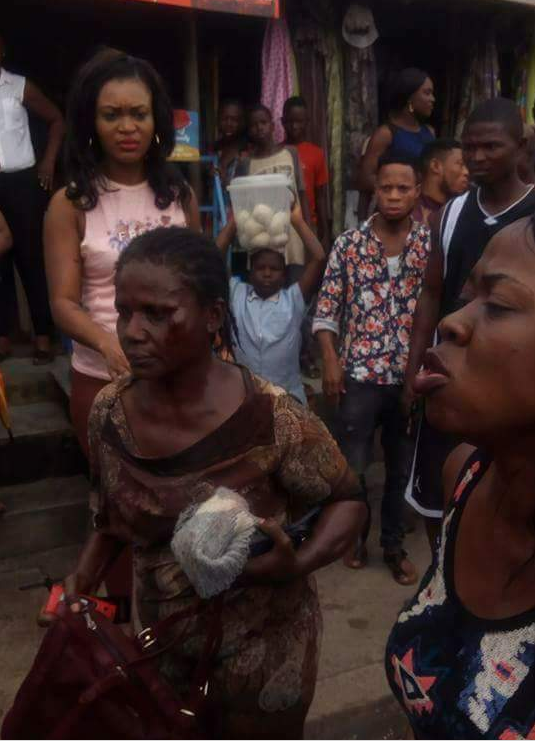 This angered residents of the area, who beat and stripped her naked.